본 연구에서는 조절 초점 이론을 기반으로 하여 광고 메시지 유형과 지각된 품질 불확실성이 화장품 세일즈 프로모션 유형별 마케팅 효과에 미치는 영향을 살펴보고자, 종속 변수로 광고 태도와 구매 의도를 설정하고, 2(광고 메시지: 향상 초점/예방 초점) × 2(세일즈 프로모션: 보너스팩/가격 할인), 2(품질 불확실성: 높음/낮음) × 2(세일즈 프로모션: 보너스팩/가격 할인)의 집단 간 실험 설계를 시행하였다. 연구 결과, 광고 메시지유형과 세일즈 프로모션의 조절 적합성이 광고 태도에 미치는 영향은 유의하지 않았지만, 구매 의도에 대한 상호작용 효과는 유의한 것으로 나타났다. 향상 초점 메시지인 경우 보너스팩에 대한 구매 의도가, 예방 초점 메시지인 경우 가격 할인에 대한 구매 의도가 높은 것으로 나타났다. 한편, 광고 태도에 대한 품질 불확실성과 세일즈 프로모션 간의 상호작용 효과는 품질 불확실성이 낮은 경우에만 유의한 것으로 나타났다, 반면에 구매 의도에 대해서는, 품질 불확실성이 낮은 경우는 보너스팩 제품에 대해, 품질 불확실성이 높은 경우는 가격 할인 제품에 대해 높은 것으로 확인되었다. 이러한 연구결과는 광고 메시지가 세일즈 프로모션의 효과를 조절할 수 있음을 보여 주며, 이는 화장품 광고와 세일즈 프로모션 간의 전략적 통합이 필요함을 시사한다. 또한 제품에 대한 소비자의 인식 수준을 고려한 세일즈 프로모션 전략의 필요성을 제안한다. To examine the effects of ad message and perceived quality uncertainty of products on sales promotions categories in cosmetics marketing, this study conducted two experiments. In study 1, the hypotheses were tested for 2(ad message: promotion focus/prevention focus)*2(sales promotion: bonus pack/price discount) between subjects designs. In study 2, the hypotheses were tested for 2(perceived quality uncertainity of products: low/high)*2(sales promotion: bonus pack/price discount) between subjects designs. As a result, the interactive effects between ad message and sales promotion were not significant on the attitude toward the ad, while the interactive effects between ad message and sales promotion were significant on the purchase intention. In case of promotion focus message, the purchase intention was high in relation to bonus pack but in case of prevention focus, the purchase intention was high in relation to price discount. Meanwhile, regarding the attitude toward the ad, the interactive effects between quality uncertainty of products and sales promotion were significant only when quality uncertainty of products was low. However, regarding the purchase intention, the interactive effects between quality uncertainty of products and sales promotion were significant. Such results of this study show that the ad message could regulate the effects of sales promotion, which implies the necessity of the strategic integration between cosmetics advertisements and sales promotion. The results also suggest that it would be necessary to have the sales promotion considering the characteristics (perceived quality uncertainty) of products. 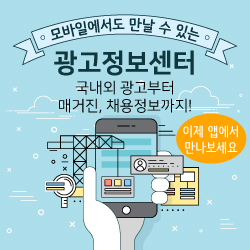 위 자료는 한국광고홍보학회 가 저작권을 관리하고 있습니다.